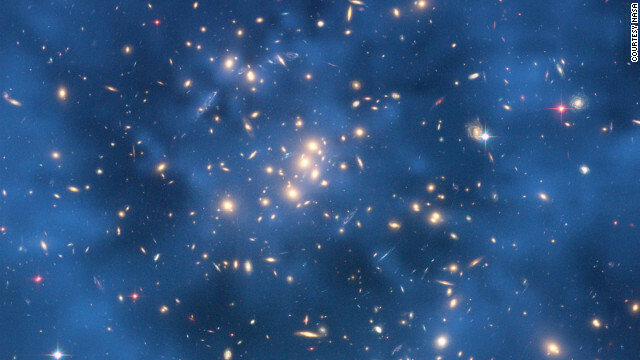 The Hubble Space Telescope is looking for indications of dark matter in star clusters. A $10 billion machine that smashes particles together is shutting down this weekend, taking a staycation in its 17-mile tunnel near the French-Swiss border while receiving maintenance and upgrades. The Large Hadron Collider, one of the world's largest science experiments, will resume operations in 2014 or 2015 at unprecedented energies. Judging from the many comments that we get at CNN.com about what people perceive as a "waste" of money for scientific exploration, you might not. That may be because what happens at the LHC seems far removed from everyday life, and even farther from the study of stars. "Everybody is, in some sense, an amateur astronomer. We all look up at the stars and wonder how the universe works," says Joel Primack, professor of physics and astrophysics at the University of California, Santa Cruz. "People are not amateur particle physicists." It is a shame the LHC cannot reverse engineer a single particle of true 'exotic matter', the original pre-building block of space/time. We could then appreciate the quantum universe for what it is. Ethereal.